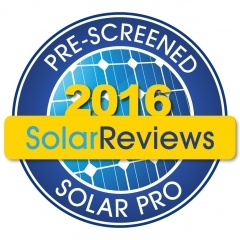 National SolarReviews Rating - Massachusetts - Mass Renewables Inc.
We are very proud to announce that we have been named as #53 of the top 100 solar contractors in the nation by solarreviews.com. This is very important to us since it is a review based on ranking that is based solely on our customers input. We would like to thank everyone for writing reviews that have given us the number one customer service rating in the state of Massachusetts!